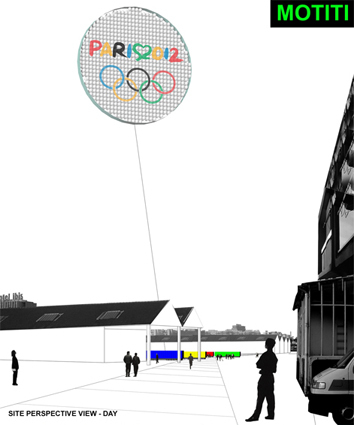 "Paris 2012 is searching for an Olympic landmark, a dramatic temporary structure, a real beacon in the city. 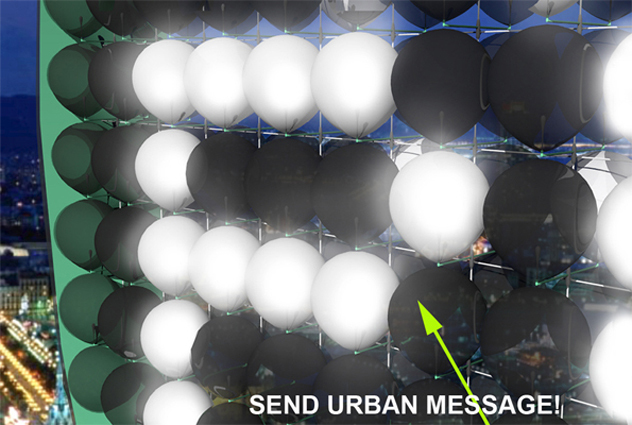 The priority is to takeover the site, assert an identity and reveal the urban potential through a strong visual marker." Paris provides an overview of all that is modern about France: independent, bold, technologically advanced, socially inclusive. This project seeks to confirm this perspective. 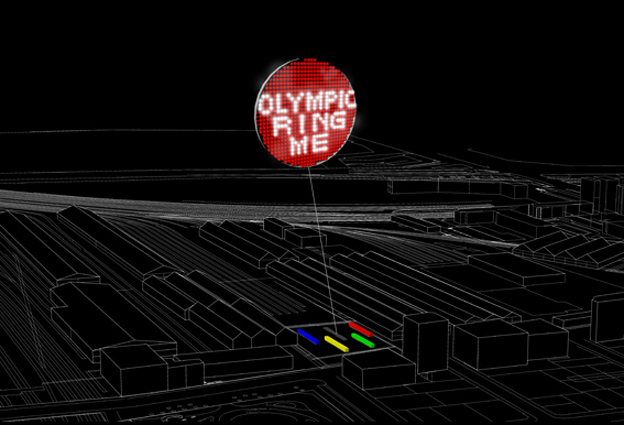 Every citizen of Paris can readily experience the omnipresence of the techno-poetic landmark that is OLYMPIC RING ME! 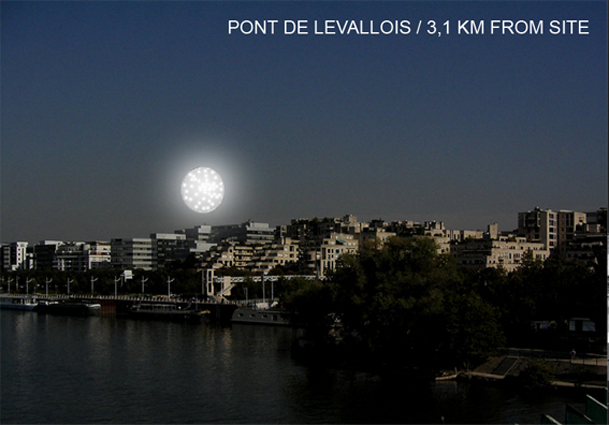 Furthermore this vision of a truly global city is anchored to specific localised histories, the site that is Les Batignolles, where former heavy industries will be liberated and rediscovered by light forms! 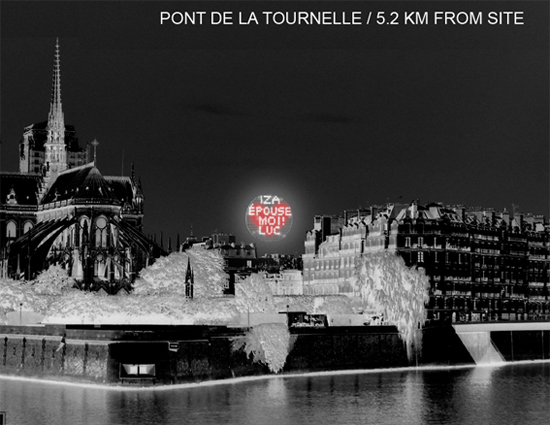 • IS A SITE OF DREAMS. Les Batignolles, home to poets such as Verlaine and Mallarmé, is a place where we can all dream whether it is of Olympic glory or a nightly expression written upon the stars. 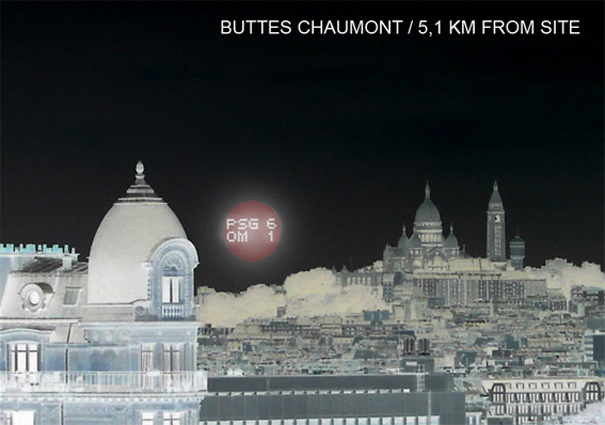 • LANDMARK AS GLOBAL IDENTITY / CITY BRANDING: Paris: Eiffel. New York: Empire State. Madrid: Torrespana. London Eye. Moscow State University. • IS LANDMARK WITHOUT A BUILDING: tall buildings are often landmarks by default but a landmark does not have to be a tall building. 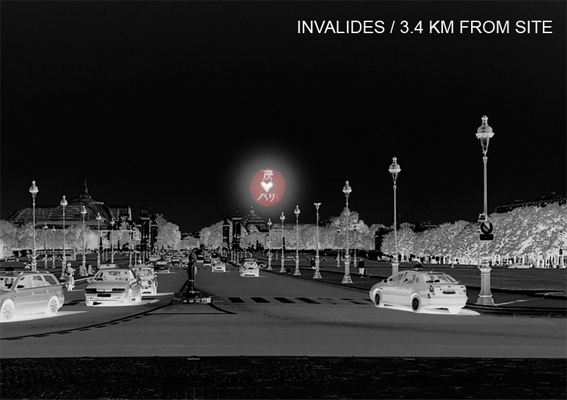 • IS URBAN SPECTACLE 2: By dialling (phone, web) into the wireless M2M Observational Cameras, any person anywhere in the world can see Paris from the air. 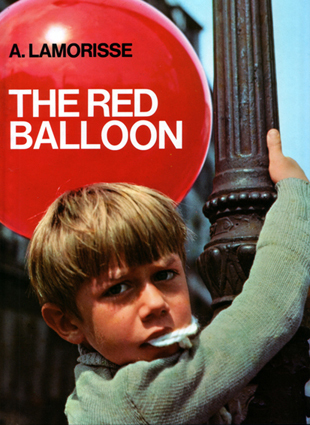 Why spend money on stairs and elevators that ultimately have earthly limits we one can float with the balloons! 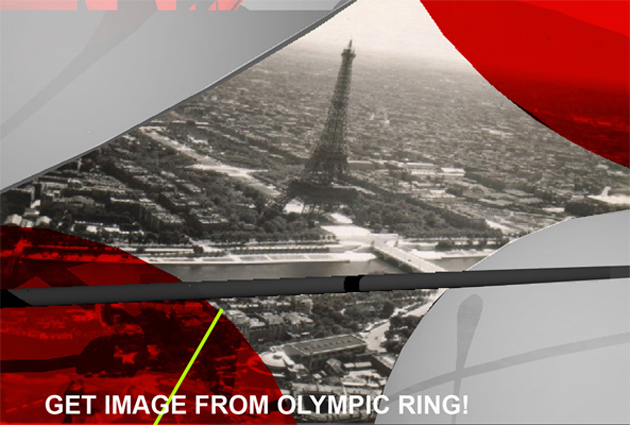 • REAPPROPRIATES SITE: OLYMPIC RING ME is a landmark with a 1metre high viewing platform made from a disused SNCF railway car. Altogether five carriages, each painted in one of the five Olympic colours, will comprise visitors centre: viewing platform, toilets, Operations Room (IT), café and exhibition space. 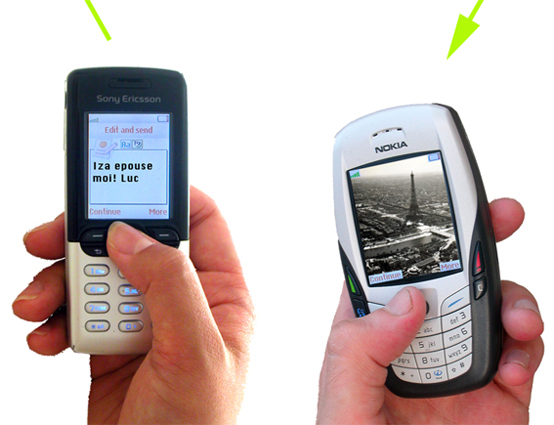 • VALUES VISITING THE SITE : Visitors to Les Batignolles site will be given priority in the sense that their text messages will be programmed to appear first. The perfect backdrop for that wedding proposal!